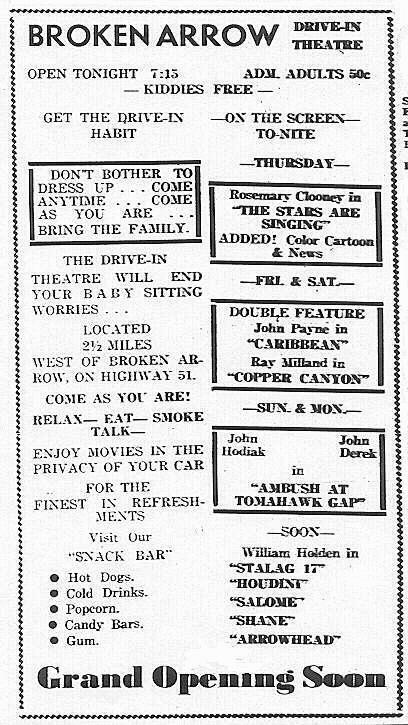 The Broken Arrow Drive-In (later the 51 Drive-In) opened June 31, 1953. J.H. Rush listed as first manager. 1955 Theatre Catalog lists Exec: Jim Rosa and K.F. James, capacity at 280. 1960 International Motion Picture Almanac lists owner as Ken James, capacity 350. 1984 IMPA lists B. H. Stevens as owner. 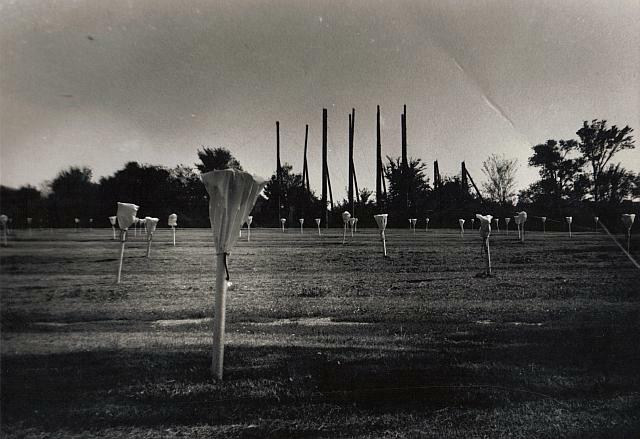 1993 May, screen tower destroyed by tornado. New Broken Arrow Drive-In Opens With A Bang! Broken Arrow's new $10,000 Drive-in Theater failed to open on schedule July 31 because a large truck, loaded with gravel fell through their septic tank and couldn't be extricated until the next day. J. H. Rush, manager said "That wasn't the end of our troubles," he continued. "The next night a faulty connection caused several speakers to go dead and we had to refund everyone's' money. Now, however, everything is going fine and we believe we have ironed out all of the kinks and are looking forward to our formal opening soon" he said. The theater is owned by Rush and Ken James. 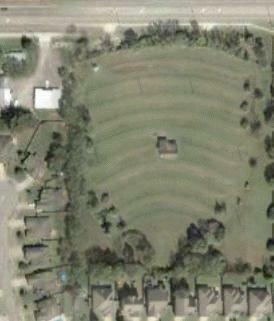 Rush is trying to find a place to live here before school starts. At present he is living in Tulsa. Mr. James is the former Francis Howard of Broken Arrow high school. They will continue to live in Tulsa where Mr. James is district sales manager for the Faultless Starch Company. 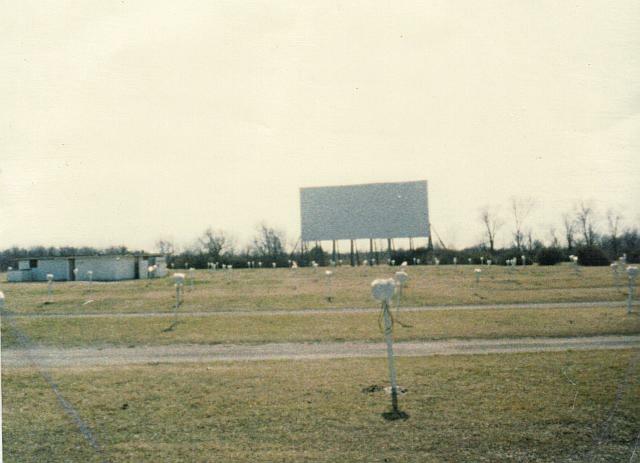 I had many pleasant nights in the seventies and early eighties watching flicks at the little "51" Drive-In, west of Broken Arrow on 71st St. A storm took the screen out shortly after I left the area, closing it forever, but the fence and marquee were still there the last time I visited in '99. Y'all take good care of the Admiral Twin and patronize it often, okay? I had a lot of fun there, too. I loved watching those animated snack-bar ads between features, with dancing hot dogs and popcorn, always mixed with reminders like "3 minutes 'til showtime!" Americana at its finest. Hey, I was just tripping around the drive-in page and I want to call attention to a vanishing drive in on the 71st Street drag. It's about 4 blocks east of 71st and 129th (if you are headed toward the Wal-Mart Supercenter, it's on your right). The fence and the posts where the speakers hung are still there, but a gated/new community is threatening to swallow it whole. I am either not old enough to have gone to any of the other DI's or I didn't live here at the time, but I remember that one from my teenage years. Saw Rocky 3 and SpaceHunter there, as I remember. Dad and I sat on the roof of the family 1978 Olds Cutlass Supreme and watched them. I was fortunate enough to see a movie at the 51 on one of the last nights it was open. The screen was destroyed in a minor tornado (or as one of the Tulsa meteorologists would call it, a "gustnado") in May 1993. I was editor of the Broken Arrow edition of the Community World at the time -- it had just started. The movie showing that night -- the Saturday before the screen was destroyed -- was Disney's Aladdin. The place was just packed. I always loved that drive-in. When I was a kid, we'd arrive really early and chase the wild rabbits. The only disappointment was that they didn't have any playground, unlike all the other area drive-ins. Once I became an adult, I kept going to the 51, although I would usually be asked to open the trunk of my mammoth 1972 Ford LTD so they could make sure I wasn't sneaking anyone in. Even though it was on 71st Street, it was called the 51 because, when it opened, 71st Street was State Highway 51. They never renamed it when 51 was moved to the Broken Arrow Expressway when it opened in 1965. I was a news photog at Channel 2 when the 51 Drive-in closed down. We did a story with the woman who owned it (her name escapes me). She and her husband owned the theater for many years together. Unfortunately he passed away just a few months before the screen blew down in 93, so she felt it was the 'right time' to close it for good (despite offers from several people/groups to purchase and re-open it).